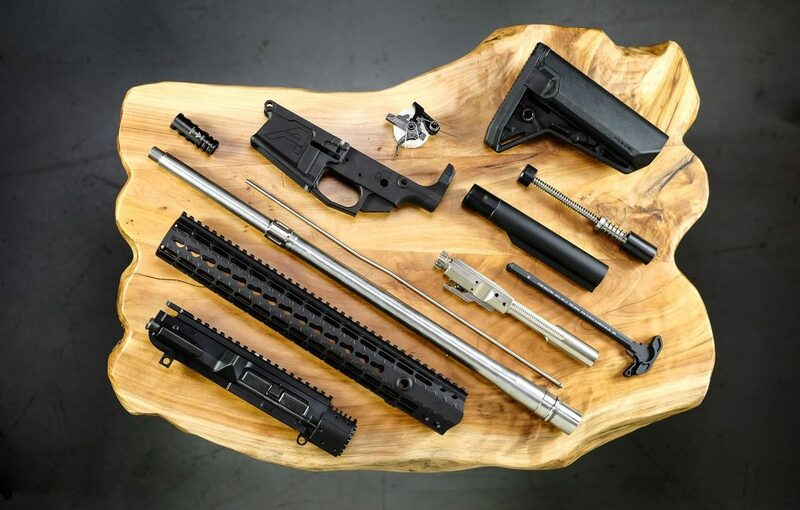 Author’s unassembled AR-10 parts, compiled after speaking to the experts we interview below. Full parts list at the end of this article. Building the best AR-10 possible can be a daunting challenge. Building an AR-15, once you know the basics, is rather simple. Building an AR-10, however…I’ve seen even the best-laid plans go awry. I love to build, but I don’t like to waste money and time. I don’t like returning gun parts…and I really don’t like rage-quitting builds due to incompatible parts that, in theory, should “work.” That hopeless, sinking-stomach sensation of being completely and utterly stuck, with no one manufacturer to blame is not one I want to feel again. To discuss building the best AR-10 possible with the best AR-10 lower and upper combination in frustration-free fashion, I sought out opinions from shooters, manufacturers and retailers. I spoke with former Army Ranger and best-selling author, Ryan Cleckner. I reached out to Eli Koransky of Aero Precision, as well as Dustin Pitcher, owner of AR15discounts.com. Dustin has a lot of insight into builders piecing together functioning AR-10s. Attempting to build the best AR-10 possible…I knew it could be a challenge. During my conversation with Ryan Cleckner, my confidence was certainly NOT improved. Ryan Cleckner – former Army Ranger and bestselling author of the “Long Range Shooting Handbook” prone with an AR-10. Rings a bell…and just what I’m looking to avoid…So then, I asked…what is my best chance of success? “If you’re building one, buy it all together,” Cleckner advised. 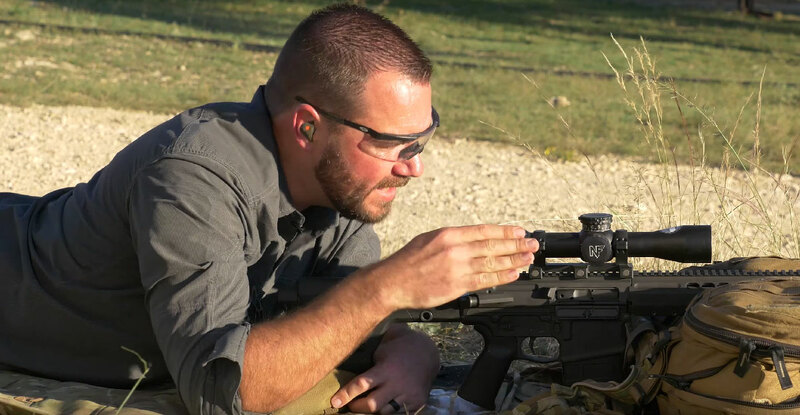 Dustin Pitcher, my friend from AR15Discounts, who converses with AR builders, day in and day out, also had similar advice for those looking to build the best AR-10 possible. “One of the nice things about buying an upper and a lower and a lower parts kit from the same company is at least you know it’s going to fit. It can be a mess otherwise if you’re not careful. DPMS pattern vs AR-10 pattern. Photo via of Midwest Industries, Inc.
Pitcher also mentioned different heights that builders can unknowingly discover when piecing their seemingly correct AR-10 part together. Not a lesson you want to learn the hard way when building your AR-10. 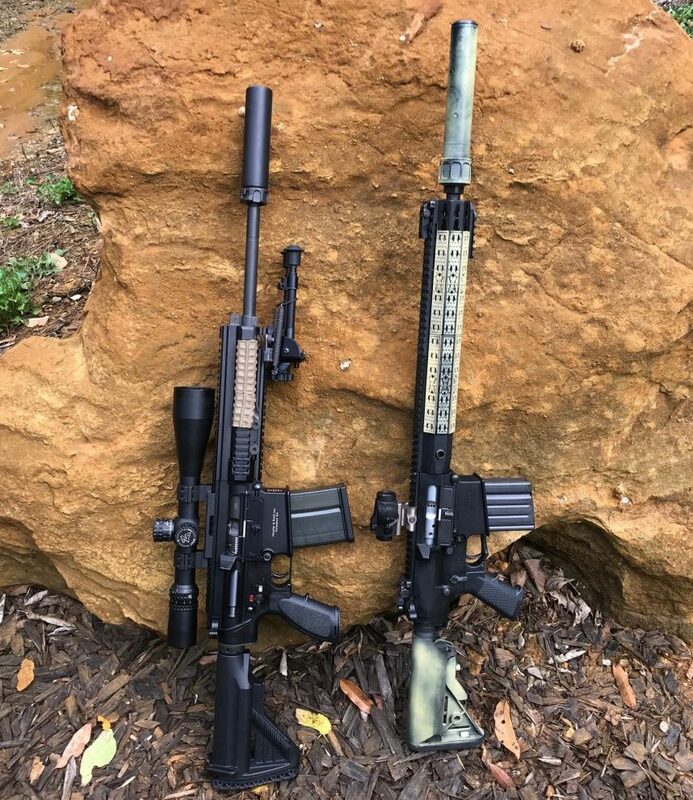 Photo via Midwest Industries, Inc.
“You really are doing yourself a disservice if you are building an AR-10 and you mix manufacturers. There is no mil-spec for what an AR-10 is. There are multiple patterns, but more than that, all manufacturers have slightly different variations between how their stuff works versus another manufacturer. It’s not uncommon that you buy a lower marked as DPMS and an upper marked as DPMS only to find them not working together because of minor internal changes that one manufacturer did. 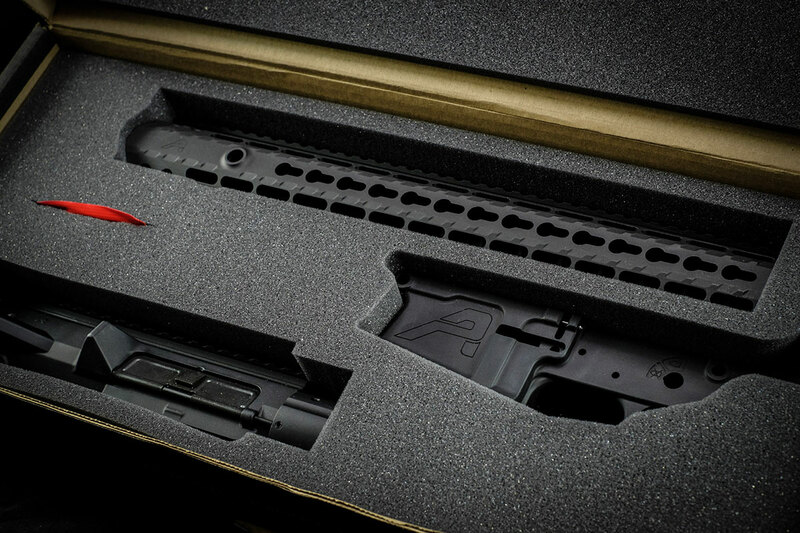 M5 Builder’s Set from Aero Precision is one of best AR-10 builder’s kits. 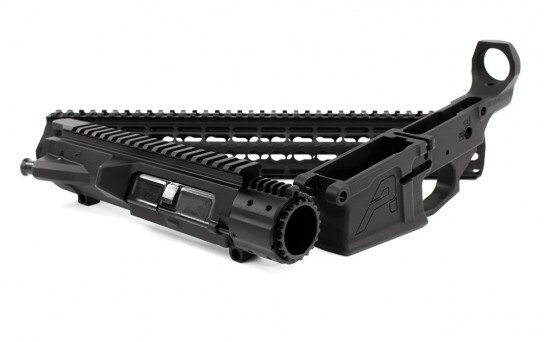 Not one to ignore advice heard repeatedly from such a wide variety of sources, I decided that to build the best AR-10 possible, I’d go ahead and get a builder’s kit. After a ton of research and advice from fellow builders, there are two sets I can comfortably recommend today without hesitation. Should you have glowing experiences with other sets, please let us know in the comments below. I’m happy to go-hands on, but for now, I KNOW these two are both good-to-go. Seekins Precision SP10 .308 Builder’s Kit is the other rock-solid builder’s kit we can recommend without hesitation. So what if all this talk of compatibility has scared you off? It shouldn’t have…but, is there another way to obtain an AR-10 that works reliably? There are two, actually. One involves buying and possibly tweaking an existing rifle, and the other involves taking the plunge into complete good-to-go, off-the-shelf rifles. 16″ GEN III N6 SWITCHBLOCK® RIFLE. Good-to-Go. “One thing you can do is start with one and add on to it. Buy yourself a midline rifle and slowly upgrade, piece by piece. If it doesn’t for work you, you still have a functioning rifle while you figure it out. For the cost of headaches and return labels, what about just going for it, and just buying an off-the-shelf, factory AR-10? “Most AR-10s I shoot have problems. They are either too hard to operate…the simple things, just locking the bolt to the rear, can be a pain with AR-10s. Especially in these so-called “premium” AR-10s. For example…You are in prone position, you go to lock the bolt to the rear…you think you did it, but in fact, you have the bolt catch caught on the front of the bolt carrier…or that last little bit is just so hard to get the bolt all the way to the rear. Again, you or I standing at a table, you could do it…but it’s a pain when you’re in the prone, or when the gun is a little dirty and you are trying to clear a malfunction. Author’s MR762 and SR-25 leaned on a rock. As a sucker for large platform ARs, I have collected several of the rifles listed below. The remainder (one not yet released) are on my personal to-buy list. Putting my thoughts and experiences together, I think the following list is a fairly decent starting point. That said, this is not an exhaustive list. I’m also not going to rank these. I do believe if you purchased any of the following, you would have a rifle you’d probably be happy with and could reasonably trust to function like you’d expect. This means acceptable accuracy and parts that are not prone to mysteriously breaking. And yes, I do understand that many of these are expensive, and I know they’re not for everyone. I’m also painfully aware of the fact you can buy one of these and still have issues. I’ve had my share of frustration with “premium” AR-10s over the years. So again, this is a starting point based on in-depth conversations and first-hand experiences…if you have different experiences with these, pro or con, please let us know in the comments. Tactical-Life.com got a sneak peak at the REC10…good overview here as usual from them. Looking forward to this one…hope to see more at SHOT 2019. I’ll start this list with the most intriguing, and the rifle I most want to see at SHOT Show 2019. This is the rifle that also has our expert shooter, Ryan Cleckner, not prone to hyperbole or hype, very excited. So, what it about the Barrett REC10 that makes it so special? “In my video on canting a rifle, that video is the REC10. Nobody knows it’s a REC10…but they did everything right on that one,” says Cleckner. Now, I agree with Ryan that the Daniel Defense DD5 is nice, but that said, for the price (they’re not cheap), I would personally consider saving for one of the rifles below. Also, if you are going to run a dedicated suppressor, I’d do some DEEP research first, and if you don’t like what you find, do not be afraid to look elsewhere. I’ll admit I had issues with my DD5V1 when suppressed, and a Google search online might perhaps reveal similar experiences. For my money, this is the smoothest, highest quality 7.62 rifle I own. It does feel luxurious, even when compared to the rifle below, which at one time, I thought was the best. I was on permanent Cloud 9 for months after I picked up my Knight’s Armament SR-25 E2 AAC. I admit freely I have an irrational love and obsession with Knight’s Armament, and if I were going to grab ONE rifle, it would be an SR-15 Mod 2. To have its bigger brother in my safe was just an incredible thrill…it took a long time to admit that, yeah, the MR762 is just a touch “smoother.” But, as it stands today, after the H&K MR762, this KAC is my second favorite personal rifle I own in 7.62. Now, that could change depending on my mood…and depending on how the REC10 turns out. Flashback…This is the video that made me purchase my first SR-25, which was my first 7.62 AR. Specifically, the reaction at the 4-second mark. KAC has since released updated versions, but this was all I needed to see before the credit card came out. To date, I have had flawless functioning suppressed and unsuppressed with my SR-25 E2 AAC, and the fit and finish is beyond reproach. Also, the 2-stage trigger is my personal favorite, and the overall balance of this gun is also quite insane. For further details on one of my favorite off-the-shelf 7.62 battle rifles from KAC, take a look at this article. Full disclosure: I do not own this rifle, nor have I touched one. That said, my brother has every rifle on this list (other than the REC10), and prior to writing this, I touched base with him about what rifles to include. He said I need include only one, the Noveske N6 Switchblock. This is his personal favorite from an accuracy and a fit & finish perspective. Furthermore, he believes the Switchblock makes it the smoothest shooting of the bunch. If I were running full-time suppressed, this one would definitely be on my short list along with the KAC. I’ll be shooting this one soon and doing a full range report…might even run it up against my upcoming Aero Precision M5 build for grins. Slightly older interview, but it still checks out. I’ve recently done literally a half dozen interviews in the past 2 weeks where John Paul and John Paul Enterprises, Inc. is mentioned in reverential, near-mythical terms. Because of this, I reached out to John Paul to discuss many subjects. Next week, I’ll be doing a more in-depth on JP’s large-frame firearms, but for now, just know that they most certainly belong on the short list of top-tier rifles. Finally, Ryan Cleckner also mentioned the POF as being a well-made and reliable AR-10, so we’re making it a point to include it here. I personally had sour experience with POF almost a decade ago with an earlier model, but that does not mean you should discount this new, updated offering. Times change. The POF Revolution is a lightweight, piston-driven rifle that is the same size of an AR-15. It has an ambi safety, a forward assist and a decent trigger. In doing your research, I’d definitely add this one to the short list to read up on further. Nutnfancy is not known for pulling punches in his reviews. His impression here is favorable…should you appreciate his feedback take a look. If not, feel free to disregard. First of all, the main takeaway from this list of factory rifles is that modern AR-10s are really starting to pick up where the old ones left off. Today’s manufacturers are really refining the AR-10. The designs are smoother, nicer…Functioning is getting better. Manufacturers are taking it to the next level. In regards to that next level, I’m very curious about the REC10 and I look forward to getting my hands on one as soon as I am able. In the meantime, I have a build to focus on. As for that, my takeaway on building the best AR-10 is this: If you’re not going to build your own using some sort of builders kit, I’d highly suggest going very slowly and doing a very deep dive on the forums of your choice. Special thanks to former Army Ranger and best-selling author, Ryan Cleckner, Eli Koransky of Aero Precision, and Dustin Pitcher, owner of AR15discounts.com for taking the time to speak with me about this topic. Finally, as promised above, here is my 6.5 Creedmoor AR-10 build list, should you want to mimic what I believe will be a success at a price that does not destroy my bank account while I save for my REC10. AMT tactical has good matching upper/lower sets BUT it appears the magpul mags and the mag catch is installed too low in the lower which puts the mag too low into the upper resulting in spotty feeding. simply putting a mag up into a lower and measuring with precise instruments reveals significant differences between lowers and a min insert height is not achieved with some lowers.